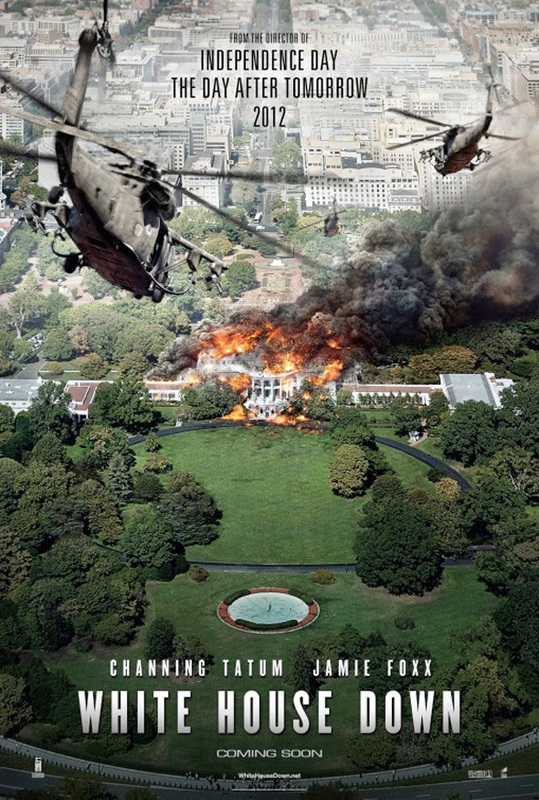 If the trailer is any indicator (and we'll admit it's not much to go on just yet), this summer's White House Down from Independence Day director Roland Emmerich looks better than Olympus Has Fallen. While we weren't a fan of the initial teaser poster campaign leading up to the trailer release, these two new posters are pretty cool. 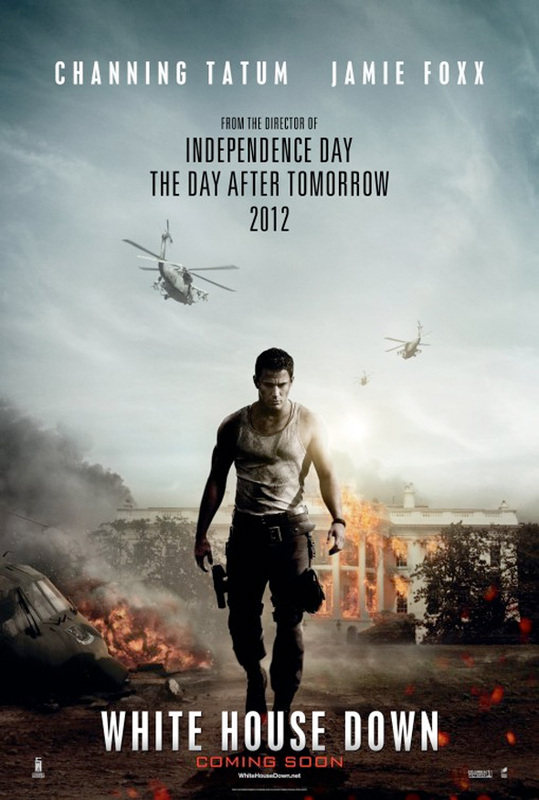 One featuring Channing Tatum feels a bit generic, and would easily be a Die Hard poster if Bruce Willis took his place, and the other has a pretty cool high angle on the White House burning. This should be a solid action thriller, and at least Tatum will see more screentime than G.I. Joe: Retaliation. Of course it will be okay for people to blow up stuff (Boston) if they are advertising it in movies...giving them ideas!! Well it is just a movie.....! You don't really give the bad guys who live in your head much clout in the imagination department, do you? It's exactly the SAME plot of Olympus Has Fallen. WTF? "From the Director of" -- movies where the White House gets completely fucked. that's the white house, not the capitol building. "to rival the likes of Die Hard"...? If this is even in the same ball park as the 1st Die Hard (or 2nd or third for that matter), I'll be amazed. On the other hand, I can't imagine how it could be worse that the mess that was A Good Day to Die Hard.